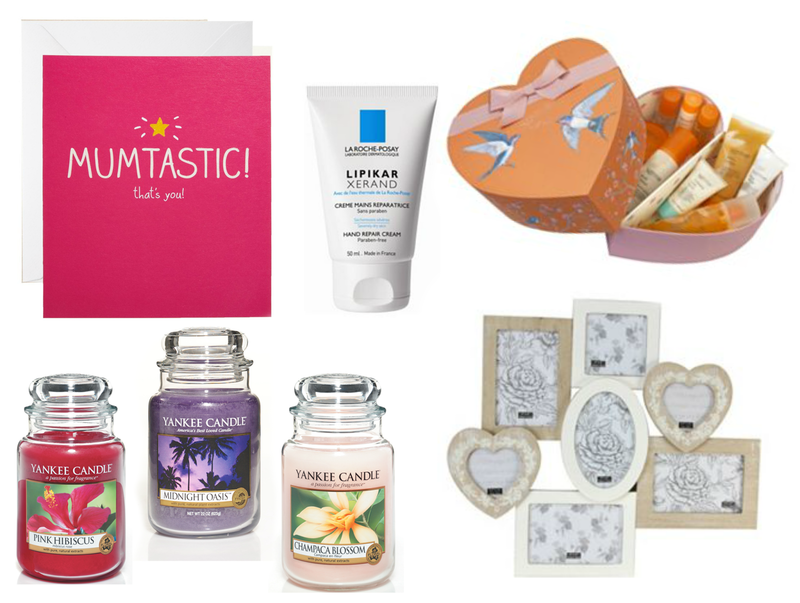 Not long now boys and girls - Mother's Day is literally round the corner so I thought I would lend a helping hand and give you some great ideas for gifts for those special ladies in your life! Weather its your mother, your grandmother, your mother-in-law or just a woman in your life that really deserves to be spoilt, mothers day is a great way to show those ladies how much they mean to us and how much we really do appreciate everything they do/have done for us! 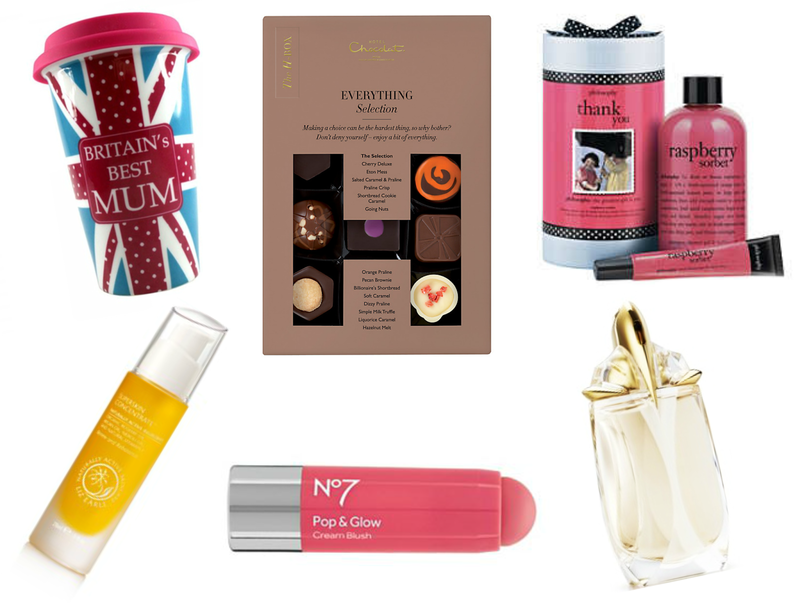 I've choosen a range of gifts from smelly gifts to practical gifts - so hopefully there is something to suit all Mummy's out there and I've made sure everything is under £50! Britain's Best Mum Travel Mug : Who's Mum doesn't love a good cup of tea? or coffee? or even hot chocolate! I love these travel mugs, they are great for taking away and for in the work place - this is a great present and the writing says it all! Hotel Chocolat Chocolate H-Box : Stuff diamonds, chocolate is a girls best friend! I was lucky enough to try these chocolate's a few months ago and was overwhelmed by how amazing they are! These are such a luxury, amazing unique flavours and outstanding tastes - an amazing treat for that woman in your life! Liz Earle Superskin Concentrate : Liz Earle is a favourite with woman of all ages across the UK and the world and this is a popular product from the fabulous Superskin range! Maybe something not all Mum's would want to fork out on on a regular basis so treating them to this gorgeous facial oil could definitely put a smile on their face! No7 Pop & Glow Cream Blush Stick : A fairly new product from No7 , give your Mum a new pop of colour for the upcoming spring and summer months - there are 3 colours available so hopefully something for everyone! Thierry Mugler Alien Eau Extraordinaire Eau de Toilette 60ml : Angel and Alien have been best sellers for years and now Thierry Mugler have released a new scent! This is the new Alien scent called Alien Eau Extraordinaire and personally I love it! The most expensive gift I've included but a fabulous way to say Happy Mother's Day! Happy Jackson Mumtastic Card : How cute is this card! 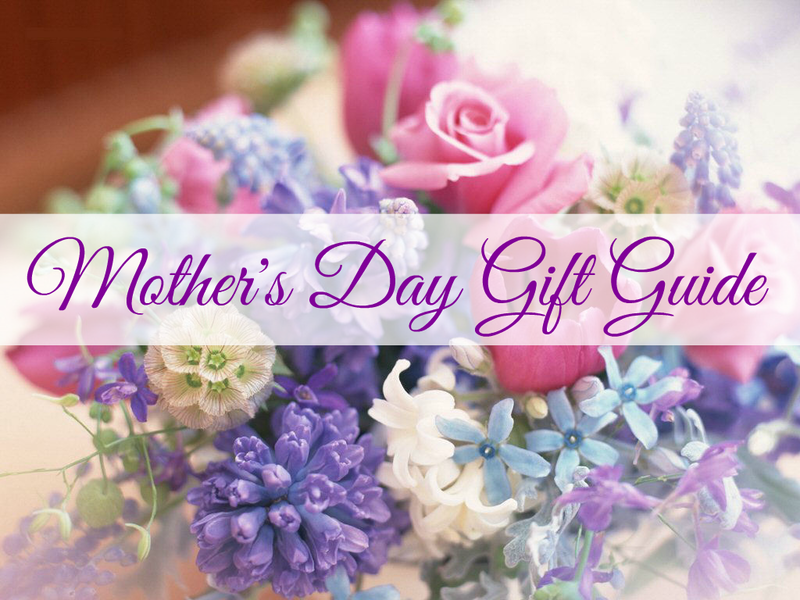 I couldn't do a mother's dy gift guide without including at least one card! I am someone who spends age and ages in card shops looking through every single card they have until I find the perfect one! But looking online it took me only seconds to find a few cards I loved! La Roche Posay Lipikar Hand Cream 50ml : A brand that is taking the beauty world by storm! If your Mum's are anything like mine then they love a good hand cream! This is a lovely indulgent hand cream which works like a dream and is under £5! A great little present! With Love - Limited Edition Gift by Sanctuary Spa : Total bargain alert! This is half price at the moment at Boots - so act fast if you want to get one for your Mum (or yourself) as this is bound to sell out! Sanctuary are lovely indulgent brand and this box contains so many products she won't know what to try first! Yankee Candles : Candles, I find, are amazing gifts! Yankee have got to be one of the best candle makes in the world and with the crazy amount of different scents there is a candle (or twenty) for everyone! Juliana Home Living Multi Aperture Photo Frame : Family photos are so precious - so why not find your favourite photos of you, your mum and your family and pop them in a gorgeous frame like this or even in an album! Great options :) very helpful! Great ideas. I love the Philosophy Thank You set, the products smell amazing!